Esports, and other games : Hearthstone - Learners who have qualified for National Team Trials. Hearthstone - Learners who have qualified for National Team Trials. 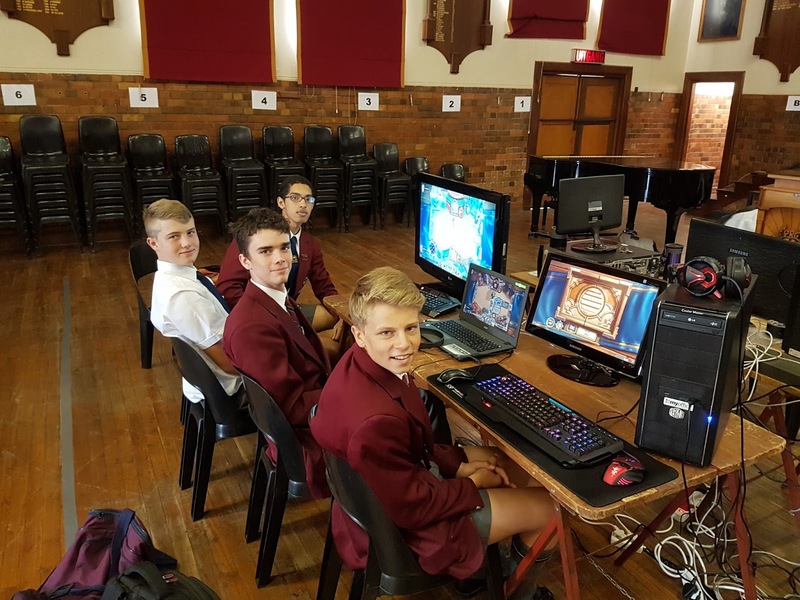 Hearthstone players at Paul Roos Gimnasium. Hearthstone, originally known as Hearthstone: Heroes of Warcraft, is a free-to-play online collectible card video game developed and published by Blizzard Entertainment. Having been released worldwide on March 11, 2014, Hearthstone builds upon the already existing lore of the Warcraft series by using the same elements, characters, and relics. It was first released for Microsoft Windows and macOS, with support for iOS and Android devices being added later. The game features cross-platform play, allowing players on any supported device to compete with each other, restricted only by geographical region account limits. Mind Sports South Africa (MSSA) first introduced the title in 2015, and such title has been included in every year since then. Participation in MSSA's 8th Online Inter-School Championships held on 10 February 2018 showed the potential of this title and delivered good results. The top three players in MSSA's 8th Online Inter-School Championships all earned their berths in MSSA's 2018 National Team Trials. Hearthstone was played at IESF's 2015 and 2016 World Championships (Seoul and Jakarta), and MSSA sent players in both years to represent South Africa.